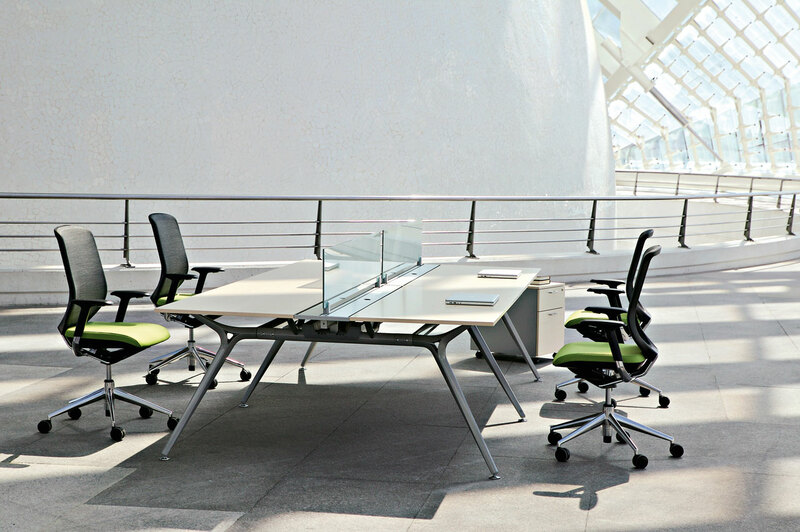 Arkitek is the response to the demand for architectural design in the workplace. 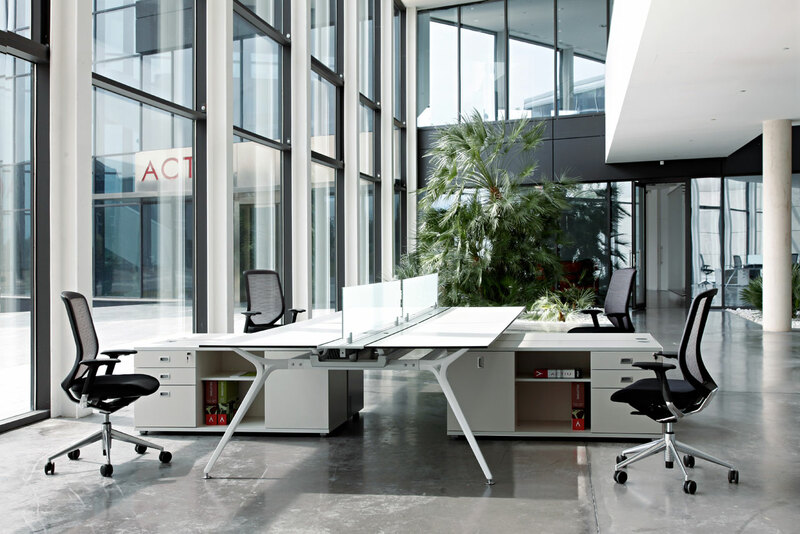 With this system, Actiu reinforces its aim of providing unique solutions in the highest quality possible. 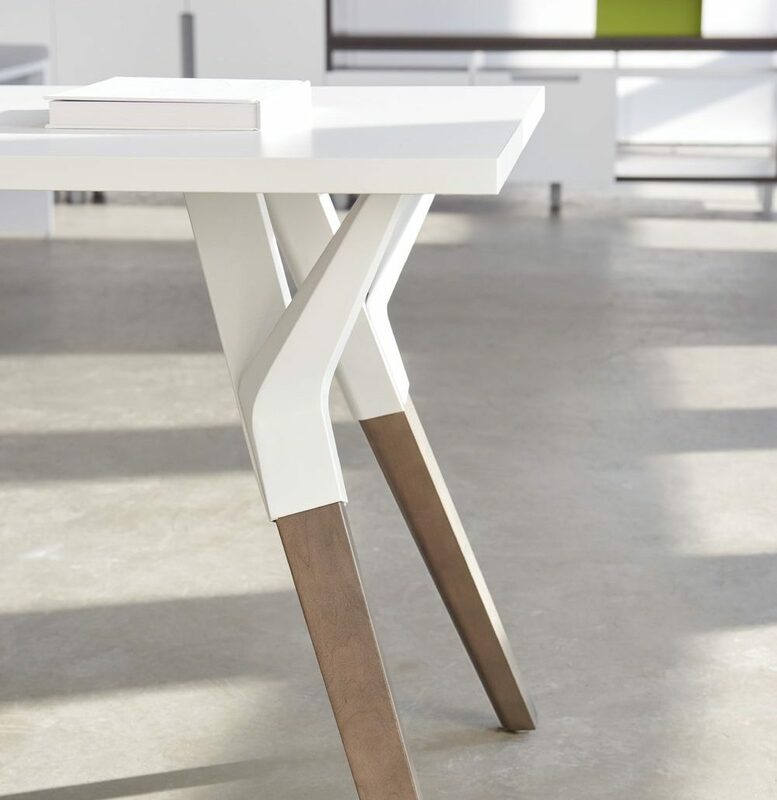 A robust frame supports a thin top in compact laminate or glass. 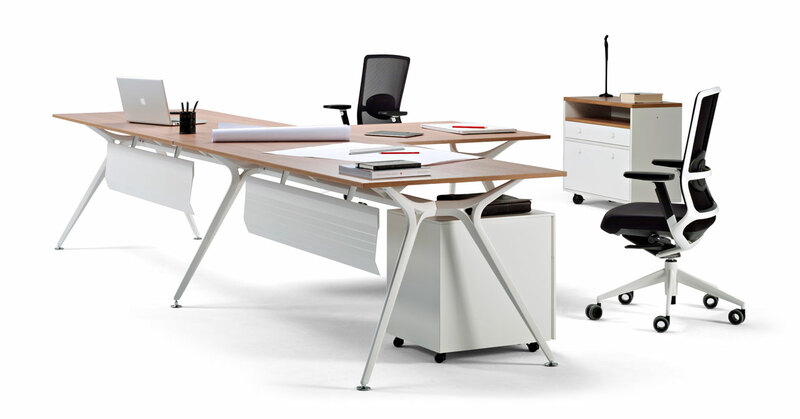 In addition to the boardroom, Arkitek can be configured for executive and simple workstation clusters. 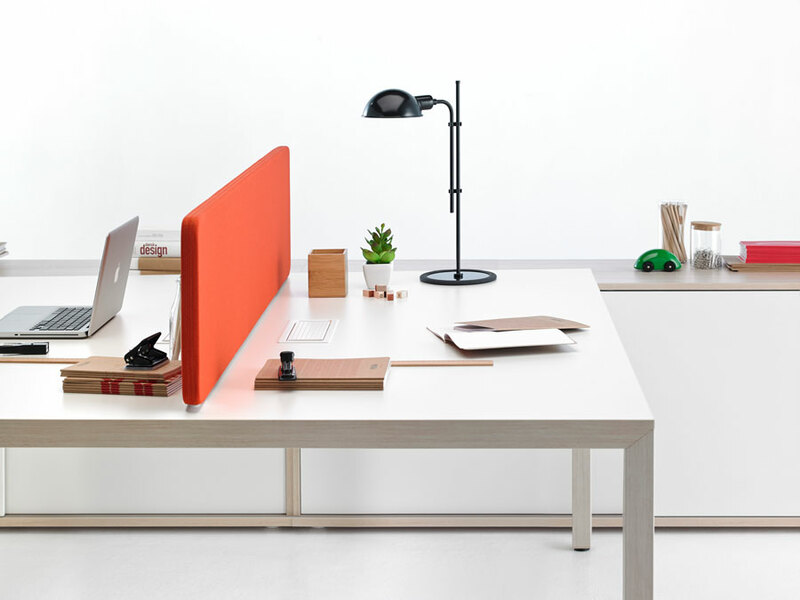 Choose your finishes to execute a striking addition to any workspace. 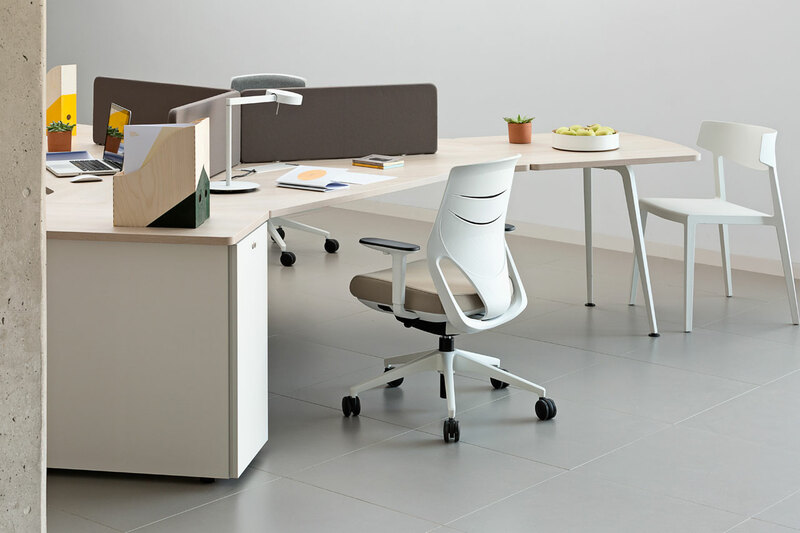 Workstations can be fit with storage units, returns, and cable management to easy your office into elegance and practicality. Full length cable tray - large steel cable tray under the worktops. Easy to access from the aluminium flip up doors fixed to the central beam.